So to start with, I was impressed that Carifred's Ultra Virus Killer can be downloaded as a portable .com file and contains it's own lightweight browser (2Browse). Just download the UVKPortable.com file and copy it to a folder on your E2B (or any) USB drive. The Tech Tool Store is a kind of Portable Apps launcher, but it goes way beyond this! When you first run the .exe download (which you need to copy to a convenient folder on your USB drive), TTS will create a 'Tech tool store tools' folder in the same folder as TechToolStore.exe. The downloaded utilities are stored here. Once running, you then have access to a very large (500+) range of tools which can be automatically downloaded and updated. You can select one or more of the tools and they will run one-after-the-other automatically. Some of the tools require a working internet connection to download the latest virus definitions. You can create your own 'favorites' list and hide tools that you will not use. 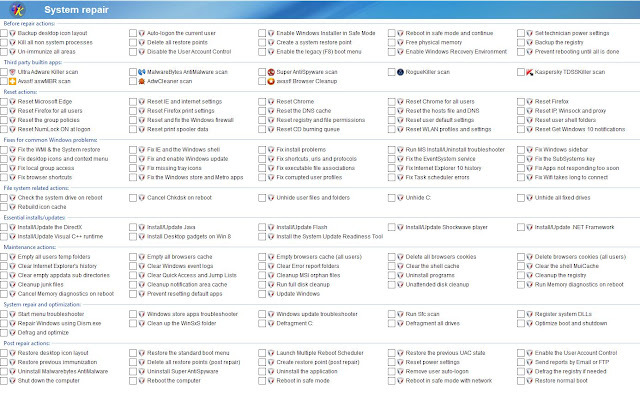 You can also add any of your favourite utilities that are not already included. 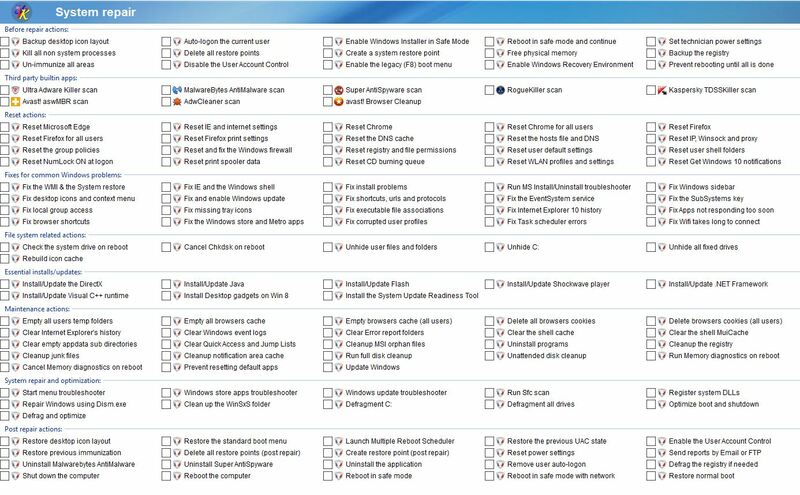 You can use right-click on most items to hide/configure/run them. Many of the tools provided by this app are impressive and shows a lot of work and thought has gone into them. 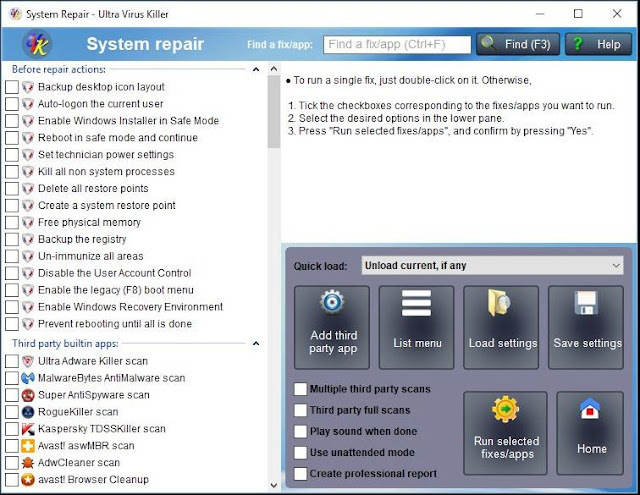 For example, the auto-runs and process explorer functions have been specifically written for use by repair techs. Although I have not yet had an occasion to use these tools to disinfect/repair a real system, they appear to be extremely well thought out and very useful. The File Extension Fixer is one that seems particularly useful to me, as I often seem to accidentally change the file association for .cmd files to use Notepad.exe instead of cmd.exe and Windows does not seem to allow you to reset it! Since these are portable apps, you could also add them to any WinPE desktop using the PEStartup feature that I described here (but the 'system' scan utilities will need to be run 'online' under the 'target' OS, and not 'offline' under WinPE). 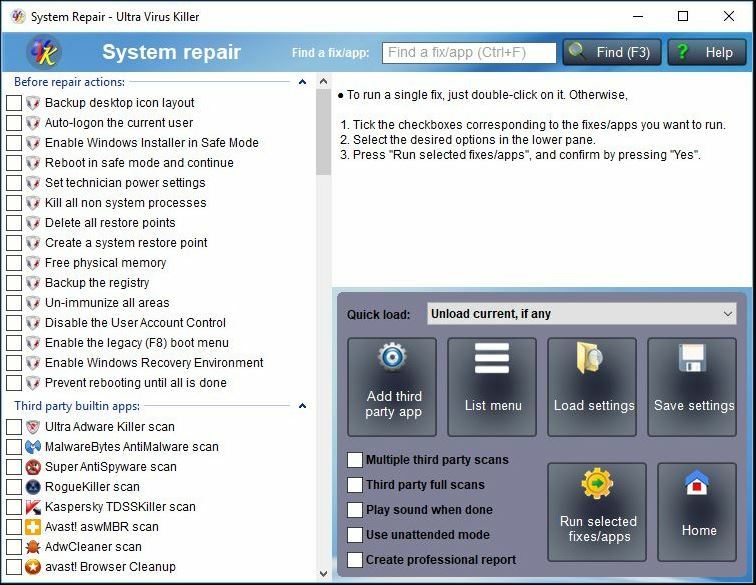 If you are a repair tech, you may also like to checkout the MalwareBytes Techbench product which is only available to businesses. There is a free version (without the techbench toolset) and it also allows you to sell MalwareBytes to your customers. The apps are intended as 'online' tools from the host system and they can be run from a USB drive.